This cooperative roadrunner allowed me to photograph it in Yuma, Arizona. I didn’t need to travel all the way to Yuma to see a roadrunner, but I would not have seen even one if I hadn’t left Idaho. I wrote last week’s column in the shade of a porch in sunny Yuma, Arizona. Temperatures were in the mid seventies and golfers enjoyed the day on the Foothills course just over my father’s back wall. 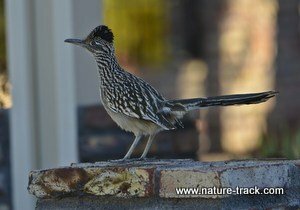 As I worked, a roadrunner, a large speedy ground bird, ran along top the wall. As it strutted back and forth I had time to call to my wife inside and grab a few photos before it jumped from the wall. A few minutes later, dad’s neighbor came out and poured small mounds of seed on the top of each brick pillar. Within seconds, Gambel’s quail raced in from the golf course shrubbery. Several dozen jumped up and fed furiously on the bounty. Collared doves joined in the fun at the impromptu feeders but there was another dove, much smaller, that I had never seen before. I photographed it and later determined it to be an Inca dove. 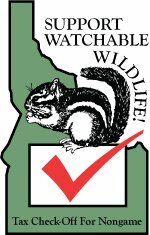 In five minutes I saw three species I could never see in Idaho. That reminded me why I like to travel. 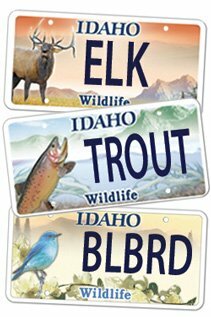 While Eastern Idaho is home to an amazing number of wildlife species, new species can be found relatively close by. Where a species can or does exist is known as its range. Any competent field guide will have range maps that indicate where you are or are not likely to encounter that species. Changes in habitat type, elevation, latitude or longitude are likely to place you in habitats where new and different species are likely to occur. For instance, if you live in Twin Falls, you must travel to Eastern Idaho to find a grizzly bear. However, just south of town you might encounter the state’s only known ring-tailed cats. Probably the easiest way to find new species is to visit habitats different from where you live. For instance, marten, members of the weasel family, won’t be seen down on the Snake River Plain, but you will find them in abundance in Island Park. Simply extending your travel circle will put you in many places where new animals roam. If you want to see a red fox, you don’t need to leave home. But if you want to find a swift fox, head for the deserts of Wyoming. If a kit fox is on your list, you don’t have a chance around Eastern Idaho. 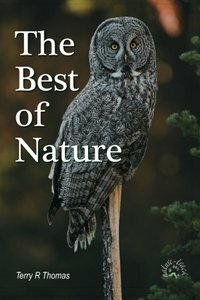 Try the Owyhee Desert, California, Nevada or Arizona. There are also a large number of species and subspecies that are island isolationists. Their habitat is essentially an island. Sometimes this is literally where a large island is too far from shore to permit escape. However, there are many other kinds of islands such as lakes, mountain ranges surrounded by desert and even watersheds. Bear Lake’s Bonneville cisco is an example. This fish exists nowhere else in the world. So, if you want to see new species, you don’t have to travel to Africa or the Galapagos, or even to Yuma. New species are often just a stone’s throw away.